With so many exciting and stylish homewares trends coming to the fore in 2018, you’d be forgiven for forgetting about the important one. The front door! This year, we’re seeing all sorts of interiors and exteriors trends emerge. From dark wood to rich colours, metallics and global inspiration are adorning the inside of our homes. While what’s happening on the outside? With lots of people focusing on the interior, it won’t come as a surprise that many of us overlook one of the most focal points of our homes, the front door. Yes, this very important feature is often grossly overlooked, to the detriment of the overall appearance of a house. Fear not, here at The Home Design Group there are so many choices and styles in a wonderful array of colours that will suit your home, your own style and of course, your budget. Classic, sophisticated and totally desirable. The Georgian Glass trend shows no signs of slowing down and is a beautiful choice for any home, old or new. Our range of composite doors are perfectly crafted to the highest standards and fitted by our team of dedicated experts. 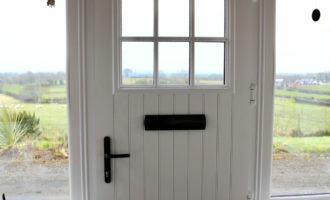 Each skilled in planning, recommending and fitting your dream front door. While a Georgian style might seem classic, it’s truly modern in its construction. Each of our composite doors are fully reinforced with galvanized steel so they’ll never warp or bend and come with multi-point security locking as standard with internal beading to prevent glass being removed from the outside. Check out the styles below. Don’t see your colour? Don’t worry we have it! What does your front door say about your home? We love it when our customers get to express their individuality through our products. Patterned glass panels are a great way to make your composite door stand out on the street. Choosing a door from The Home Design Group offers more than just impeccable quality and a world-class product, we also offer enhanced security options where your window frames will be manufactured under the police preferred ‘Secured by Design’ initiative. Check out some of the styles we offer but there’s plenty more to choose from. Get in touch now. Simple, contemporary and beautiful to look at. These sophisticated door styles are virtually indistinguishable from wood but their superior construction means they’re safe, secure and a must-have for every modern home. Created to the highest standard by a globally renowned brand, VEKA, we’re proud to be able to offer this top of the range composite door to the homeowners of Northern Ireland as it’s the best on the market. Which colour door would you like in your home? Our team are waiting to take your call and tell you all about products, pricing and more! Want to get an idea of prices first? 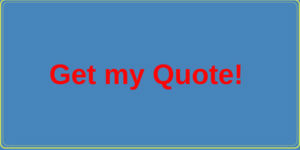 Get your quote below.